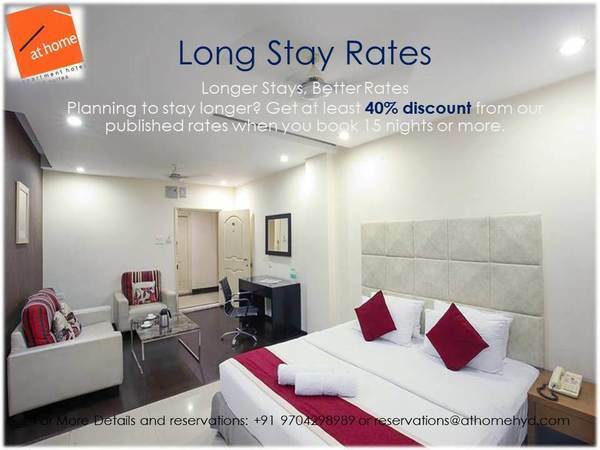 At Home Serviced apartmen | At Home Hospitality Services Pvt.Ltd. 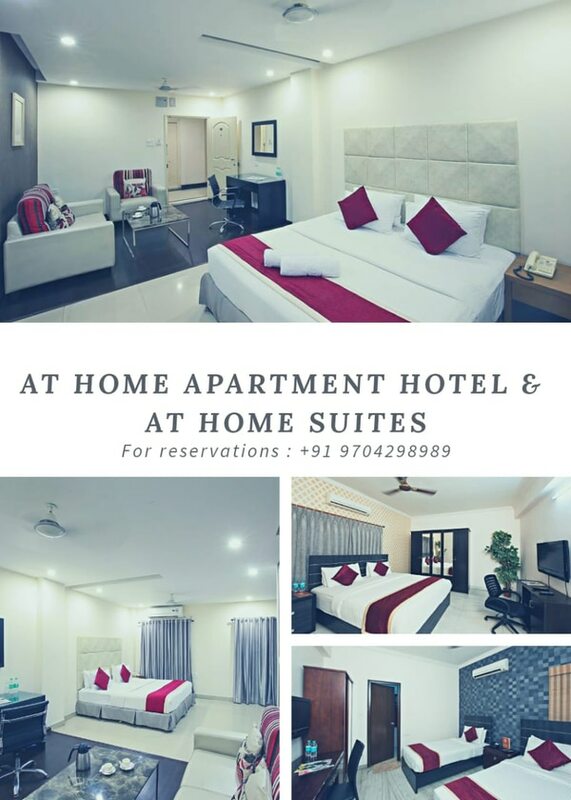 At Home Serviced apartments offers 40 fully furnished apartments with variety of rooms ranging from 193 to 293 sq ft. Each apartment offers a full kitchen of 158 sq ft. You can also enjoy your meals at the multicuisine restaurant located just below the apartment. 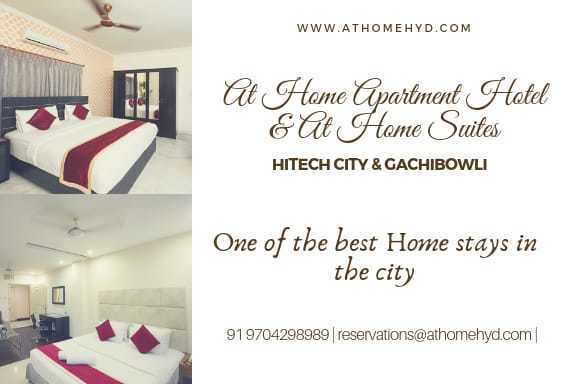 The location is ideal being situated in the centre of hyderabad at Hitech city, the major shopping hub. 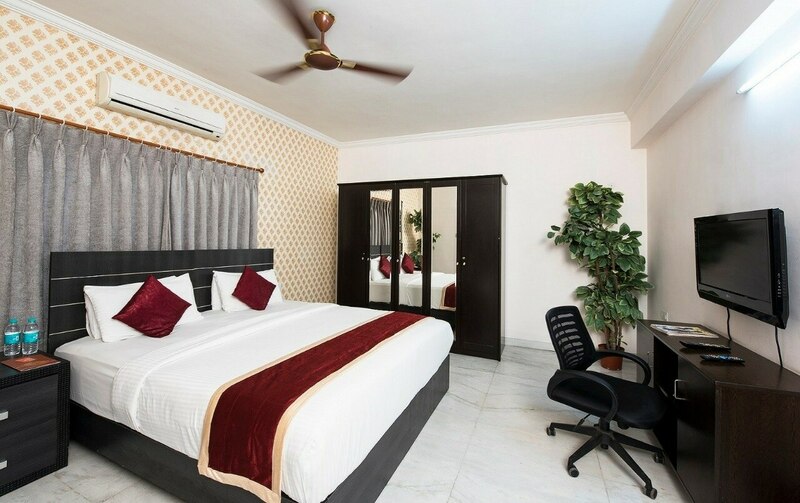 Commute to anywhere in hyderabad is easy.